– Can I see your network diagram? I still had to spend hours doing “show cdp nei” and re-creating drawings the way I like it with the information I needed. I always wished there was a magic tool where I can just click one button “Generate Topology” and get it auto-generated with the information I wanted to see. Shouldn’t be that hard to do, right? Well, finally I found a perfect one. software tool (ahead of my long-standing love for SecureCRT). The main reason for its beauty is integration with Network Discovery functionality. Nectus does discover all the devices and all the interconnections, and uses that information when generating a network topology. CDP protocol on every link you want to see on your network diagram. But that is the only manual work you have to do. After initial configuration is done, the only part that separates you from your network diagram is a single click of a button. 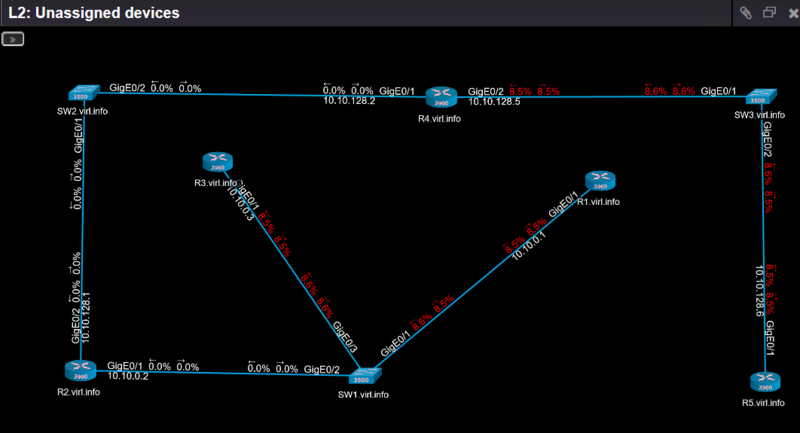 Right click on any device in GUI and select “Create a Network Topology” – BOOM! and I could even overlay real-time traffic utilization info over each link. No more aligning shapes in Visio (even though you can export Nectus diagrams to Visio). No more changing font size one line at a time. No more hard manual work. It may need some device aligning, but I will take it. It is almost ready for consumption. stored in DB so I just press “Refresh” on existing topology…. ah forgot to say.. and these features are in your browser. No software clients to install. I use it every day now. Honestly. https://www.nectus5.com/wp/wp-content/uploads/2018/02/logo.png 0 0 Michael Kors https://www.nectus5.com/wp/wp-content/uploads/2018/02/logo.png Michael Kors2017-09-28 18:35:372018-12-30 11:19:15Can I see your network diagram?